With the cooler months setting in, it’s time to give your wardrobe a little thought. Walking out in a thin shirt or T-shirt is not only going to make you feel uncomfortable, but also look silly. 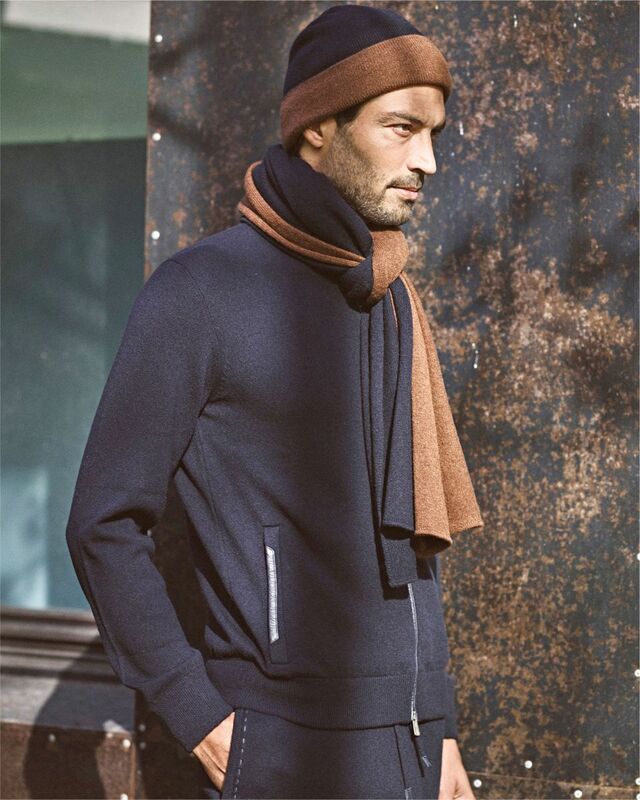 So this winter, layer up your clothes for a warmer and classier appeal. But wait up; we don’t mean simply putting on a layer above a layer. Instead, you need to think through your look beforehand. Being able to remove a layer without compromising on your overall look is what layering is all about. Essentially, this means that each item of clothing must look good as part of an ensemble, as well as individually. Sounds like quite the task, right? Don’t worry – we’ve got you covered. How to wear it? The ideal rule to follow while layering is to go from thin to thick, so that it’s easy to normalise your body temperature in case the weather gets too warm or too cold. T-shirts are great as a base layer. You can throw in a hoodie as the second layer and finish it off with an overcoat or a denim jacket to get the perfect effect. Also ensure that the colour of each layer complements the other, so they don’t look crass together. Ever wondered what to do when you’re having a bad hair day? Wear a beanie! A simple cloth, brimless hat, it can be a total lifesaver for men who couldn’t find time for a haircut, or those who just don’t want to waste time setting their hair. And as a bonus you get an uber-fashionable look. In fact, beanies are often worn as an accessory to give a look that edge. But hold on: by no means should a beanie be worn to a meeting or even a formal party. Beanie hats are perfect for casual outings in the winter months. Team it with a smart shirt, overcoat and chinos, and you’ve aced the look. How to wear it? As with everything else in fashion, it’s not about what beanie you wear, but about how you wear it. Choose from the countless types of beanie hats available, depending on your facial structure and type of hair. If you have short hair, don’t wear anything too big or slouchy on your head; and try to avoid knitted styles. Instead, go in for a tight-fitted shape that doesn’t overwhelm your face. For those with long hair, a well-fitted beanie is ideal. It may have begun for the ladies, but the ultra slim sunglass trend is now shifting sexes. They’re sharp, sleek, and extremely lightweight, and are meant for those who want more than just eye protection. Part retro, part contemporary, the ultra slim sunglasses are excellent options for fashion-forward men who like to stand out wherever they go. But beware: this trend doesn’t suit every face shape. So try before you buy. How to wear it? Wear these sunglasses on an afternoon out, with casuals or formals. However, don’t expect much protection for your eyes, as the main agenda of ultra slim sunglasses is to make you look chic. Available in various colours and rim styles, they can be worn from day to night. 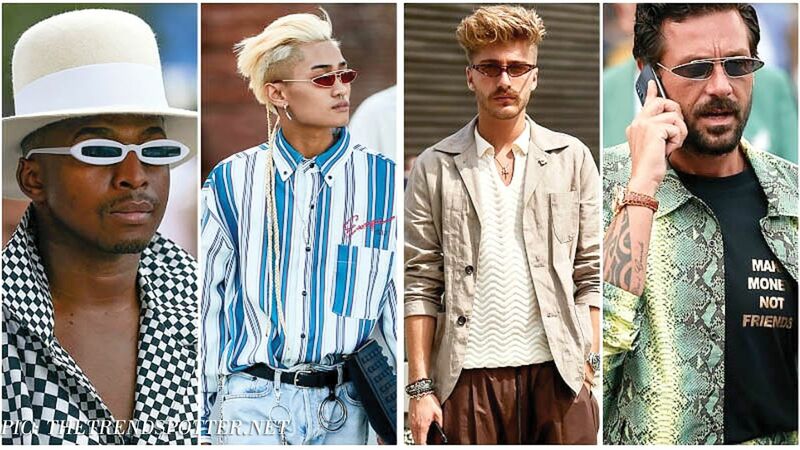 Unlike women, men have very few accessories to bolster their outfits. Shoes are one of the add-ons gentlemen rely on to add a dash of spice to a getup. There are dozens of varieties: moccasins, oxfords, slip-ons, trainers, penny loafers, and boat shoes, to name a few. But of these, the casual loafers are the easiest to pick. They’re available in various colours, materials and types; leather loafers in dark colours are used for a more formal vibe, while suede or canvas loafers can be worn for a hassle-free look. How to wear it? 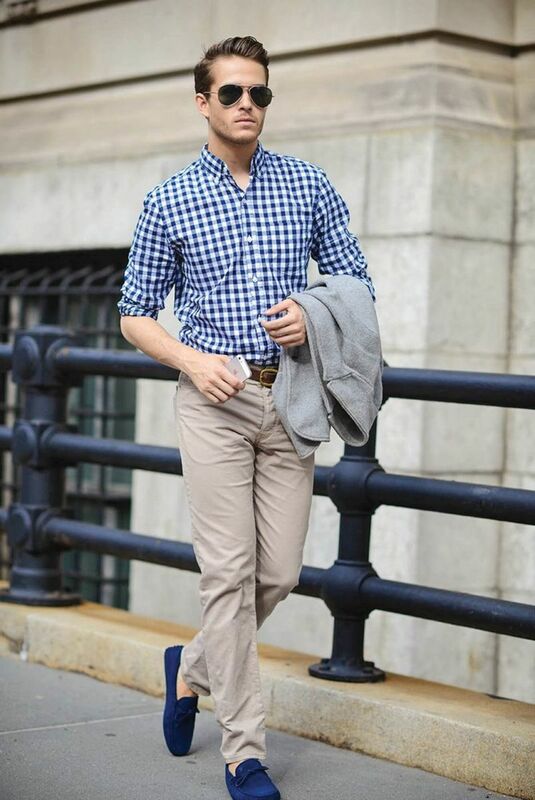 Loafers can be worn with just about anything – a pair of casual chinos or beach shorts, bottoms and/or tees. Sport a colourful pair for more of an effect. Think red, blue, green and grey. Come winter and here comes the holiday season. An ideal accessory to carry while on your holiday is a roomy backpack that can carry all your necessities – your phone, charger, wallet, notebooks, and some water and munchies. In fact, an ideal travel backpack is one that can carry an extra pair of shoes and a change of clothes. Not only will you be secure and organised with your belongings, but you’ll also look damn good. And unlike your boring checked-in luggage, your backpack is likely to stay with you wherever you go. How to wear it? 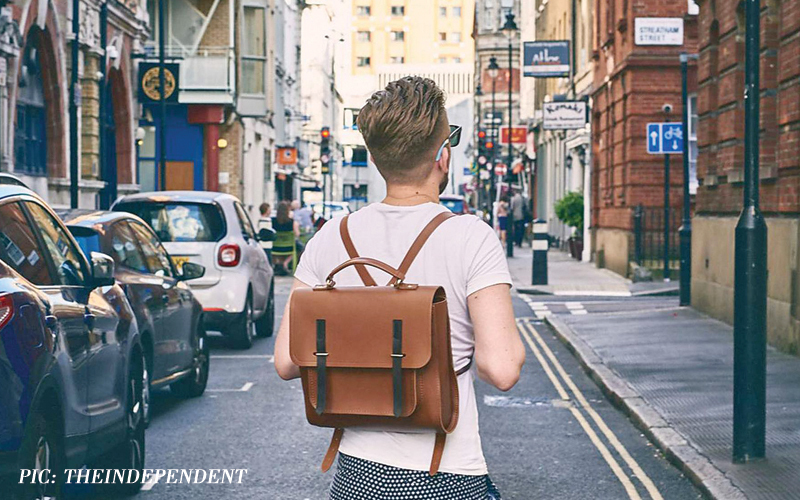 Invest in a good quality, medium-sized backpack with compartments that can comfortably handle your belongings, and will also go with most of your garments. A simple one in a neutral colour like black, white, brown or beige will allow you more freedom with your garment choices. The Burberry large rucksack in vintage check, Saint Laurent Khaki “Noe” backpack, and the Gucci floral snake-print backpack are great options. A fresh alternative to the contrasting T-shirt and jeans/shorts trend, a two (or three) piece-coordinating outfit can be quite a showstopper this season. Whether it’s a head-to-toe monotone ensemble or a printed coordinating set, it was seen all over the fashion shows this year. Dominating the ramp with coordinating sets were pieces by Burberry, Vivienne Westwood, Xander Zhou, and Oliver Spencer. However, as cool as it may sound, plenty of men fear wearing matching outfits as it’s sometimes seen as being a bit over the top. But fret not as we give you an example of how to wear co-ords with class! How to wear it? 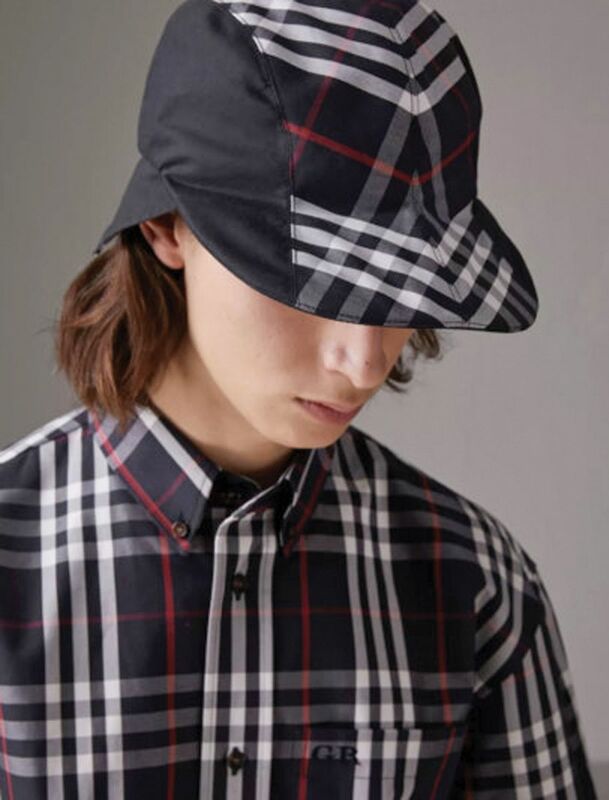 Remember the classic Burberry print that was available in a shirt form? The same is now available in a shorts too, so you can match the two and wear them for your next day out. And what’s more? You can avoid looking like you’re wearing pyjamas by adding in a trench coat for a more sophisticated vibe. We all know of the romper trend for women, but only few of us have seen it on men. Yes, the romper rage for men is officially on, and as odd as it may sound, it’s gaining popularity. The one-piece garment, also known as a playsuit, is a great summer trend for men. It’s comfortable and hassle-free, as it saves time spent on selecting a separate tee and shorts. So it’s ideal for a casual trip, music festivals, or a day on the beach or by the pool. How to wear it? If you’re a fashion-forward gentleman who’d like to try out this highly talked about style, opt for a romper in a colour that suits your personality. For first-timers, we suggest going for a simple romper in a solid colour.